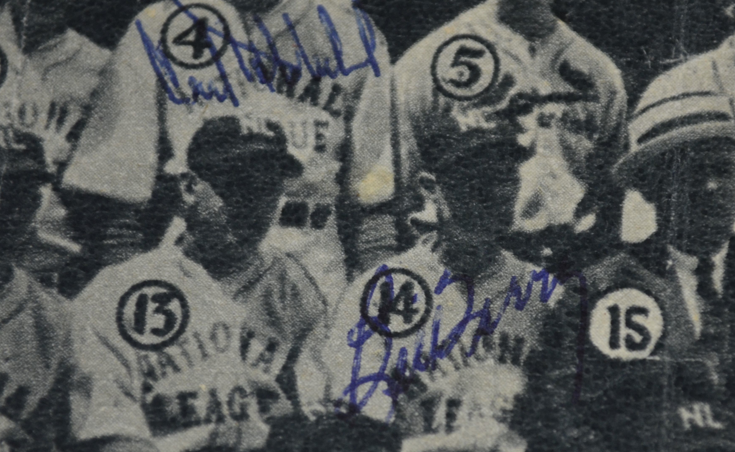 This themed portrait features a rare framed 1933 National League All Star magazine photo (4-1/2" x 6-3'4"), signed by 12 members of the team, including Hall of Famers Gabby Hartnett, Carl Hubbell, Bill Terry, Max Carey, and Chick Hafey. 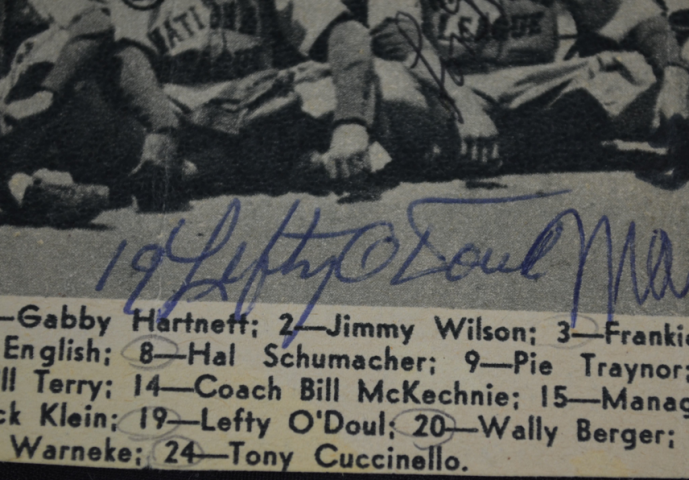 Also included are signatures of Hal Schumacher, Bill Hallahan, Frankie Frisch, Lefty O'Doul, Wally Berger, Lon Warneke, and Tony Cuccinello. 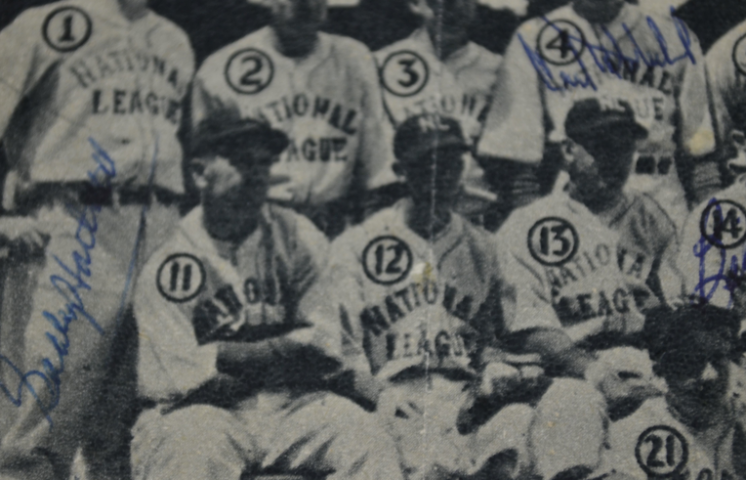 The 1933 MLB All Star game was the first ever All Star game to be played. The game was held on July 6, 1933 at Comiskey Park in Chicago, the home of the Chicago White Sox of the American League. The All-Star Game was the idea of Arch Ward, the sports editor of the Chicago Tribune and was initially intended to be a one-time event. The photo is fully authenticated by James Spence Authentication. Due to the rare nature of this item offer we must charge your credit card for the full amount immediately upon taking your order. This policy ensures we reserve the photo for you. We will confirm your order by Email. Please allow at least 2 weeks for delivery.